Your tracks must be in the MP3 format and be around five minutes. Your songs should be original – that’s right! We’re after talent. You should be from the UK to enter – we’re planning a worldwide contest very soon but for now this contest is only open to those living in the United Kingdom. Your band should have no more than 6 members. If you win the competition you will need to make you and your band available to play The One Love Festival 2013. You are asked to submit an original music track that either yourself or your band have created. All the acts will go into the first round of voting. After that the top 40 will consist of 20 fan votes and 20 Judges picks. The 3 winners will be chosen by the judges from the Top 40. Is the contest open to everyone worldwide? No, this contest is only open to UK residents. Please email us at bandsupport@supajam.com and we’ll notify you about the next contest when it launches. I’m younger than sixteen, can I still enter? Both myself and my band (if you have one) are under 18 years old, how do we register? You must have your parent’s or guardian’s verbal permission to register for the contest. SupaJam supports new bands. Since 2008 we have partnered up with festivals around the world giving away over 50 slots. We also work hard to find other opportunities for emerging artists and have recently partnered with MTV, Oakley and the London 2012 Olympics. What sort of music are you looking for? 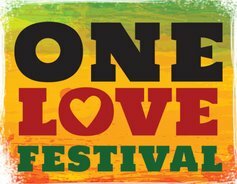 We’re looking for tracks and bands that will fit in with the One Love Festival. Check out the following link to see this years line up. If I win the grand prize can my friends come with me to this years One Love Festival? Sorry but no. Your friends are more than welcome to come but they must buy their own tickets and make their own way there. Should I have my own travel insurance? Yes please as well as medical insurance. How can I record my track? That is down to you. You may already have your track recorded – that is fine. Failing that you can go into a studio to record it, you can record it using your computer or you can record it using an old 4 track – Just make sure it is the best possible quality and that it showcases your talent. Only the best tracks will make it. Your track should be no more than around 5 minutes. There is plenty of time later in your recording career to make a mini masterpiece spanning 24 mins. For now we are just interested in a track that is short and sharp and focuses on your talents. May I use bad language in my track? Yes. We’re not your parents – Just make sure it's good! Does my track have to be an original piece of work? Yes. We are NOT looking for cover versions here or anyone else’s work. The track must be original to you or your band. Why must I / we be unsigned? This competition is open to people or bands at the beginning of their careers. It’s designed to give an aspiring artist or band their first real shot at the big time. If you are signed to a record label or have a publishing deal then you are already established. We understand that many of you are signed to your own Independent labels and that is fine providing they are not connected to a major record label. I’m not ready to upload my track by the entry closing date. Can I upload it later? No. If you fail to upload your track by the entry closing date then you will not be able to enter the contest. I tried to upload my track just before the deadline but I couldn’t as the server was busy – can I upload it later? No – As the deadline approaches there will be a rush to upload tracks that may mean that you are unable to successfully upload yours. We would suggest you plan a quiet time to upload your track and definitely not at the last minute. How many people are allowed in a band? Six. We will accept entries if there are more than six of you but if you win the grand prize only six persons will be flown out to the festival to play so you will either have to make your own arrangements to get them down there or you had better prepare yourself to sack your best mate who is saying he is the best triangle player in the world! I can’t see or listen my track after I have uploaded it? That is correct. All the eligible tracks entered into the contest will be revealed when voting starts. Where is the One Love Festival 2013 held? In Damyns Hall Areodrome, Essex, UK. When is the One Love Festival 2013? This years festival is being held between August 16th - 18th 2013.
Who is playing at this years festival? Click here to see the 2013 line up. Where can I find further information and buy tickets for this years festival? Tickets are available from the link below. You will also find all other information regarding the festival here like accommodation, how to get there and much more. Why do I want people to listen to and rate my track? During the voting period. All eligible tracks entered into the contest will be released on Supajam.com. First round voting commences. How do I tell my friends about the contest and to rate my track? On every finalists page you will see that you can "email your friends". The more friends you encourage to rate your track the more chance you or your band have to make it to the finals. Can someone rate more than one track? Absolutely. A person can rate as many of the entries as they'd like. However, you can't rate the same track more than once. How are the public ratings calculated? We don't reveal the rating details in order to avoid people gaining an unfair advantage. However, it is a combination of the number of people who listen to your track in full, rate your track and the rating that each person gives. How else can I promote my track to increase the chances of it winning? We would suggest you create a page on Facebook, Bebo or Myspace. Wherever you can shout about it, Shout about it! I’m having trouble uploading my track, what should I do? Please wait a few minutes and try uploading your track again. There is likely to be a lot of traffic as entrants upload their entries near the final hours of the contest. Please continue trying to upload your track until you receive confirmation that it was received. What format shall I upload my track in? You can upload your track as an mp3 (please no larger than 8mb). Where can I get answers to questions not already in this FAQ? Any other questions? Email bandsupport@supajam.com and we will try and sort you out. .